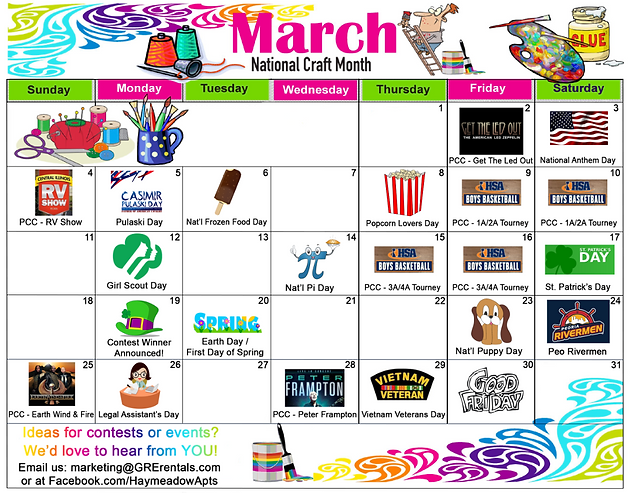 Welcome to March, Haymeadow Residents (and visitors too!) 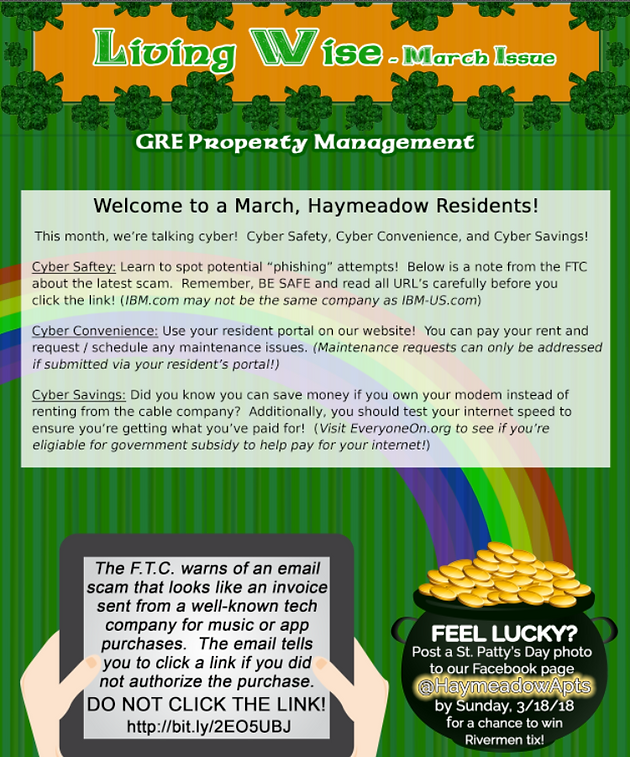 In our March Issue of Living Wise we&apos;re talking "cyber"! (cyber safety, convenience, and savings) We also have details on how you can score a pair of Rivermen tickets in celebration of St. Patrick&apos;s Day. Plus hot off the presses, it&apos;s our Haymeadow Calendar of Events with holidays, offbeat and real, as well as local events. As you can see by the calendar, there&apos;s a lot going on in Central Illinois! The Illinois High School Basketball tournament, RV Show, Peter Frampton, Earth Wind and Fire, and of course, St. Patrick&apos;s Day! Like and Follow us on Facebook @HaymeadowApts. Post a photo of your favorite St. Patrick&apos;s Day decorations, St. Patrick&apos;s Day selfie, or pic of your green beer - something St. Patrick&apos;s Day themed! Make sure you do it by Sunday, March 18th. March 19th, we will announce the winner! 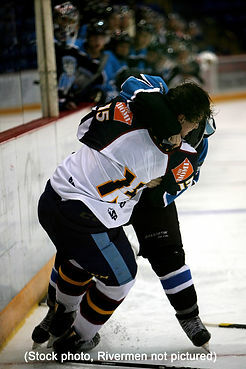 And on March 24th, you and a guest get to see some great Peoria hockey! Contest open to Haymeadow residents only. Good luck! Are you cyber-safe? In this month&apos;s Living Wise, we&apos;ve touched on Cyber Saftey, Cyber Convenience (for residents), and Cyber Savings. Take a look - you may learn something that helps to protect you while you&apos;re online. The FTC warning that we referenced, can be found HERE. Spring is right around the corner, we promise! (even if it is only the actual date on the calendar). Have an enjoyable March and thank you for stopping by, reading and sharing!